WE are certified thrift book shop junkies! Yes, my dearest husband is now my official book hunting buddy. Our trip to the mall is never complete without a short visit in any second hand bookstore ( Book Sale, Books for Sale, etc). Our patience and book hunting luck have definitely paid off. We were able to collect a significant number of books for our little bookworm. When I read about the month-long warehouse sale of Books for Less, I knew we had to include it in our must do's this August. It was also perfect timing because I just got a copy of my Before Five In A Row (BFIAR) manual and I was hopeful to find some of the book titles at the book sale. We tried to finish all our household tasks early so we can immediately head on to our book hunting gig this weekend. We consulted google maps on what could be our easiest route to get to the warehouse. Fast forward : We were already sitting on the train when I learned that we totally forgot to list down our must-buy book titles. So I asked my mother to read the book titles to me over the phone. Thanks to my Nanay who tried her best to read the titles even with her poor eyesight. We barely noticed the short jeepney ride from Shaw Blvd, EDSA to Pasig Rotonda. The long tricycle ride was nothing compared to the excitement we felt when we saw the piles of books waiting for us. We didn't waste any time. One, two, three, attack! But before I show our loots, let me share some friendly tips on how you can make your Books For Less warehouse sale trip more fun. I hope you find this list helpful because as it turned out, bringing a book list in a warehouse sale was totally unnecessary! 1. Just bring a small bag where you can put your essentials. I was wrong to bring my big canvas bag with all the extra stuff I don't really need. It was so hard for me to walk along the narrow spaces with that big, heavy bag! 2. Bring your own ecobag or anything you can use to carry all your "new" books. All the books are sold at P10.00! Buy 10 or more books to make your trip more SULIT! 3. Make sure to tag along your book hunting buddy. It would be best if you make a game plan : assign your respective areas, remember the authors and titles to look for, how long will you stay, and more. I suggest that you don't bring your kids at the warehouse. The space is cramped and very dusty too. Trust that they will like the books that you'll choose for them. 4. Bring anything that can protect you from dust -- a handkerchief or surgical mask will do. Be prepared so you can dig deeper and longer in the sea of books and dust too! 5. Avoid reading along the aisles if you don't want to get the ire of your fellow book hunters. Just read the title or the short description at the back of the book to get an idea of what it is about. After getting all your stuff, find a nook to filter and finalize your loots. After our final sorting, we bought 19 books for a total of P190.00! We were not able to find any BFIAR book but we found great titles. We are geared to come back before the sale ends this month to try our book hunting luck again. See you at the warehouse! 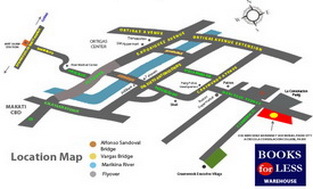 For commuters, hope these directions will help you locate the warehouse. - Take the MRT up to Shaw Blvd. Station. - Take the jeepney going to Pasig Palengke. The jeepney terminal is along Shaw Blvd, southbound across StarMall. You can also choose to go down at Pasig Rotonda ( near Jollibee right after the bridge). - Ride a trike. Tell the driver to bring you to La Consolacion College in Mercedes Avenue. Special trip costs P40-P50. 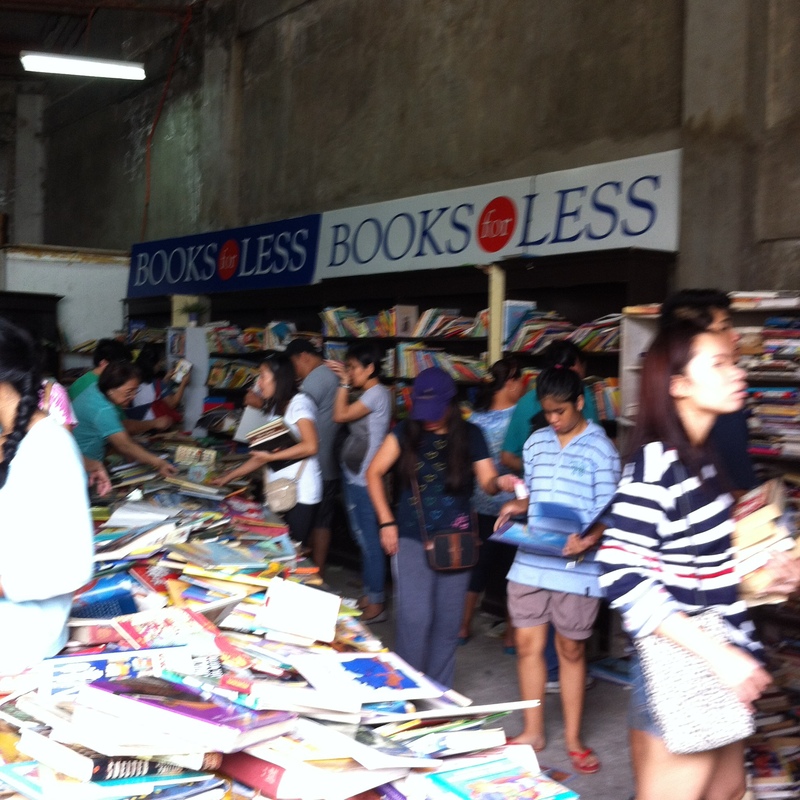 Books for Less warehouse is directly across La Consolacion College. That's it, Nanays! Happy book hunting! Don't forget to share your experience in the comments section below. Our favorite bookstore has a website! 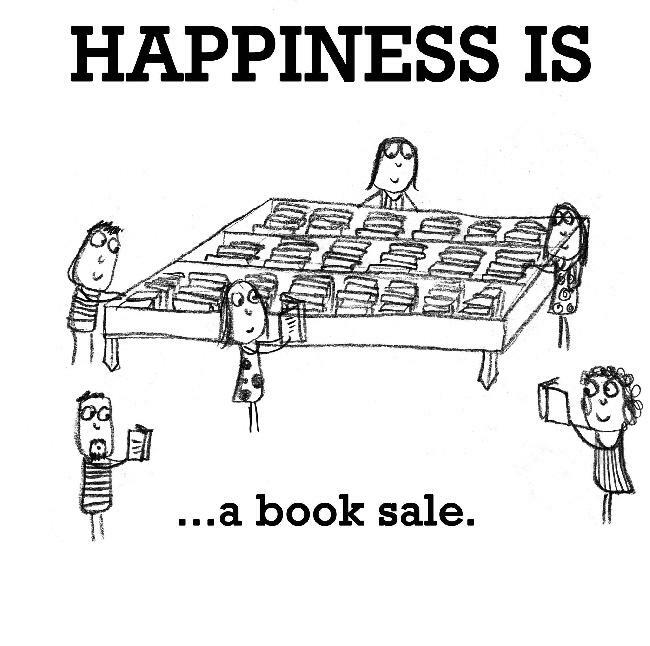 Check out BOOK SALE's online home and cross out all the branches you have been to and plan your next visit too. I found this link a few weeks ago on my Facebook timeline. 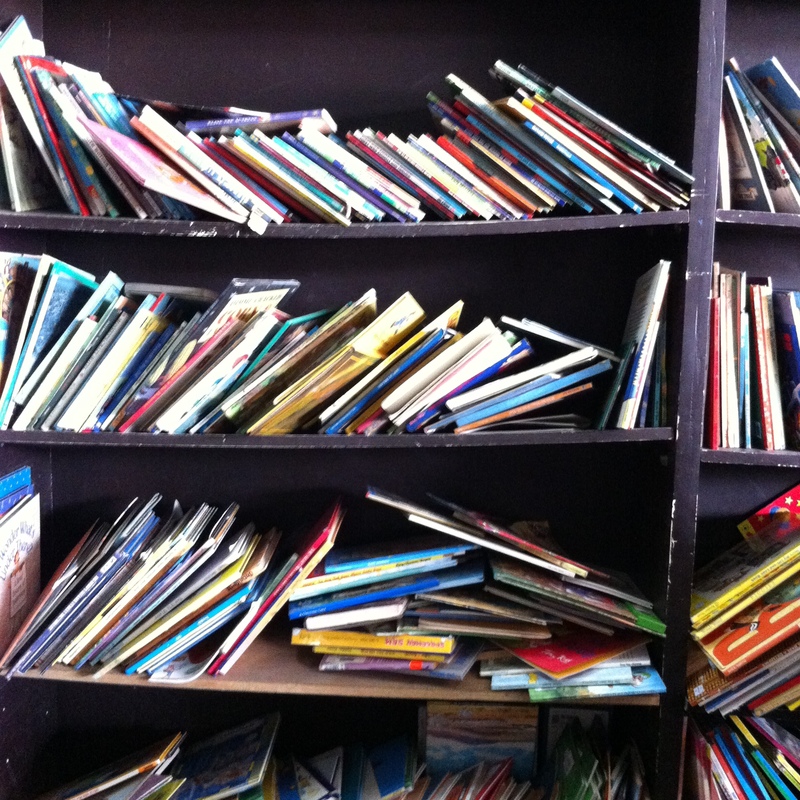 Check out Smart Parenting's List of Places to Go to for Second-Hand Books. The Learning Library offers a book borrowing program. Check their site to know more details on how to avail of this wonderful opportunity. 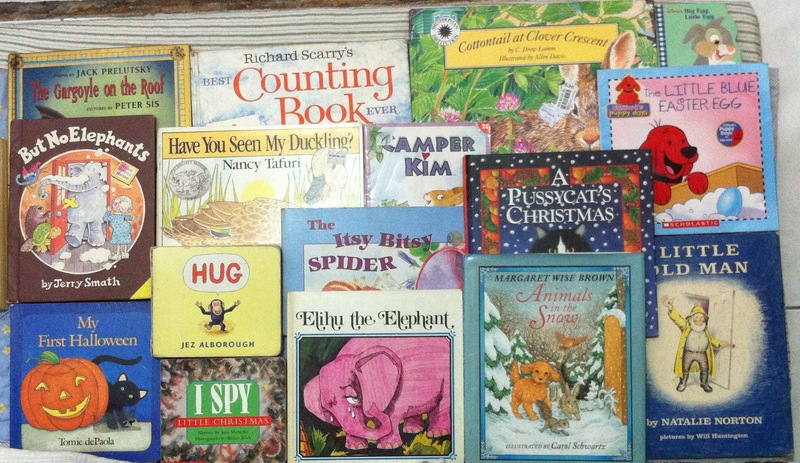 We were able to borrow a number of books that we also used for our letter of the week activities. 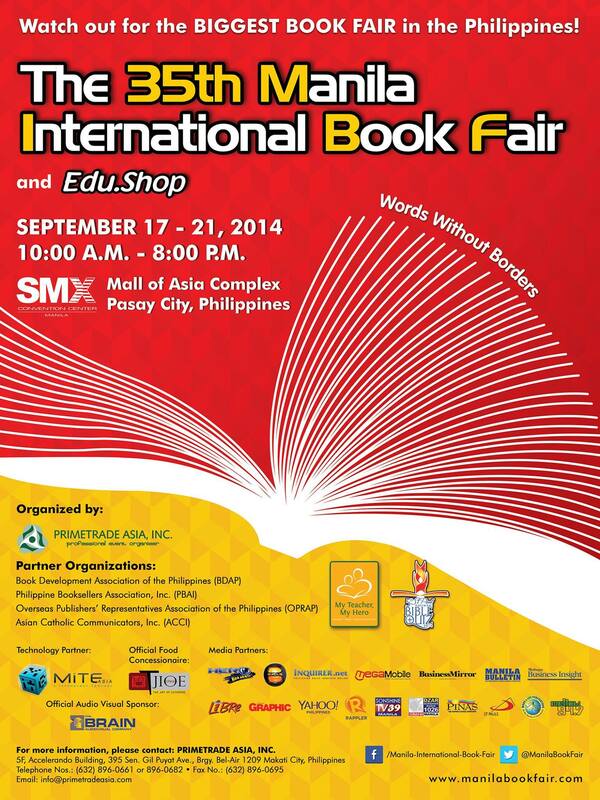 Start saving for this year's Manila International Book Fair. See you there! 19 for P190, wow! :) Nice books sis. I hope my little one will gain focus someday so she can see her books. ALL the books at P10?? waaahhhh I have to go! Thanks for sharing! I wonder if there will still be a lot of nice books left to choose from if we go this week. Nakakainggit, Nanay! We almost have a similar store (aside from Book Sale) here in Cebu but they closed down. Maganda sanang business, baka in the future...hehe. I hate going to the malls, kakapagod mag commute kasi so hindi ako masyado nakakavisit sa Book Sale. I usually do my book shopping online but if there is a similar opportunity like this one here in Cebu, I'd go there! Super sulit, di ba? Our children will eventually appreciate the books we bought for them. Basa lang nang basa, hehe. Happy reading! You're welcome! Happy book hunting and reading! I read several blog posts of mommy bloggers who went to the warehouse sale and they were very happy with their book finds. I'm sure, the Books for Less staff are saving their stocks until August 31. Punta ka na, Ces. Happy book hunting and reading! You're welcome, Olga! Kumusta ang book hunting mo? Happy reading! Hi Sally! Ang saya-saya di ba?! 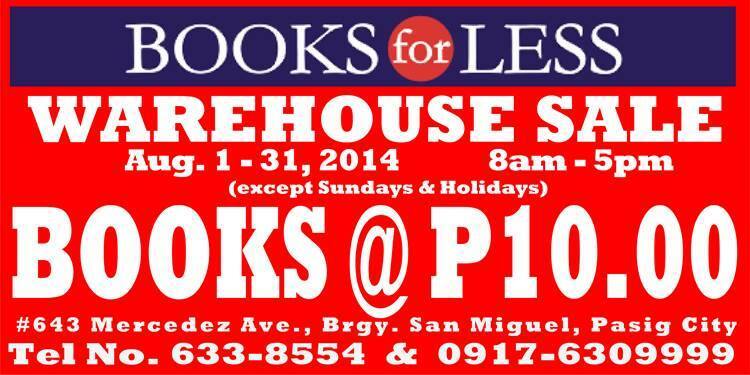 Will there be bookay-ukay part 2 at the warehouse for you? Happy reading! Hi! 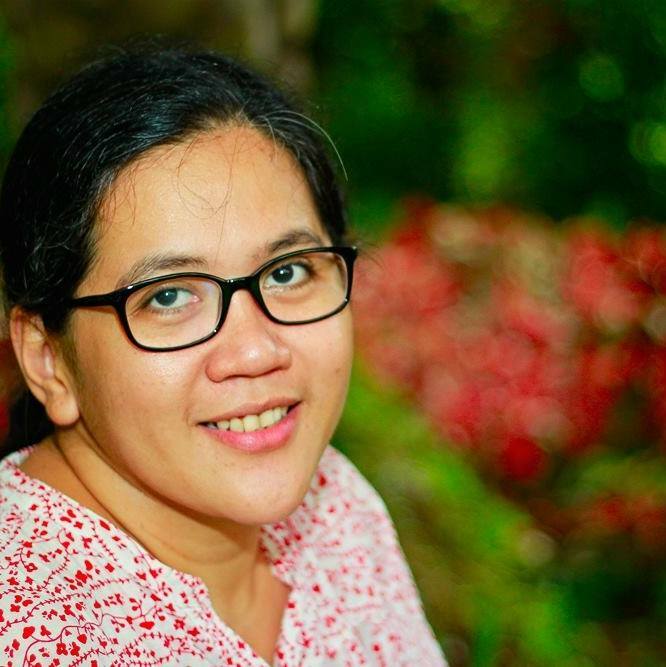 You can try Adarna's digital and interactive storybooks. Share your insights and thoughts once you have tried it. Hindi ko pa rin nasubukan. Kapag mapadpad ako sa Cebu, magpabitbit ka sa akin ng books, hehe. Hello Mommy Kat! Kumusta? Nakadaan ka na sa warehouse sale? Kitakits soon! You're welcome, Joy! Ibang high rin kapag nakakuha ka ng classic o very good book sa Book Sale di ba? Hi Janice! How was your trip to the warehouse? Happy book hunting and reading! Hi po.. nung nagkaroon po ako nung baby dun na po ako nagstart magkollect ng mga books.. di po ako nagbubuy sa sm malls kse mahal sa booksfor less ako nagbubuy ng books..maliit lang yung pwesto nya sa alimall, ngyon ko lang kse nalaman na nagwawarehouse sale pala sila.. tas 10 lang.. kelan kaya ulit sila magwawarehouse sale? And Thanks po sa advice! I'll go this year, Nadia! Kami rin, we never let our mall trip pass without going to any bookstore lalo na sa Book Sale! Ahahay! Excited na ako! Thanks for the tips!